Paul D. Rheingold, Esq., founded the law firm Rheingold, Giuffra, Ruffo & Plotkin, LLP, a leader in mass tort litigation, including the first pharmaceutical mass tort case involving cholesterol-reduction drug MER/29, and many other mass tort cases exposing adverse effects of certain drugs and medical devices. Now of counsel to the firm, Mr. Rheingold has given his extensive collection of law-related books and art to Pace Law Library. The art collection hangs throughout the Library, particularly on the second floor of the Gerber Glass Law Center. 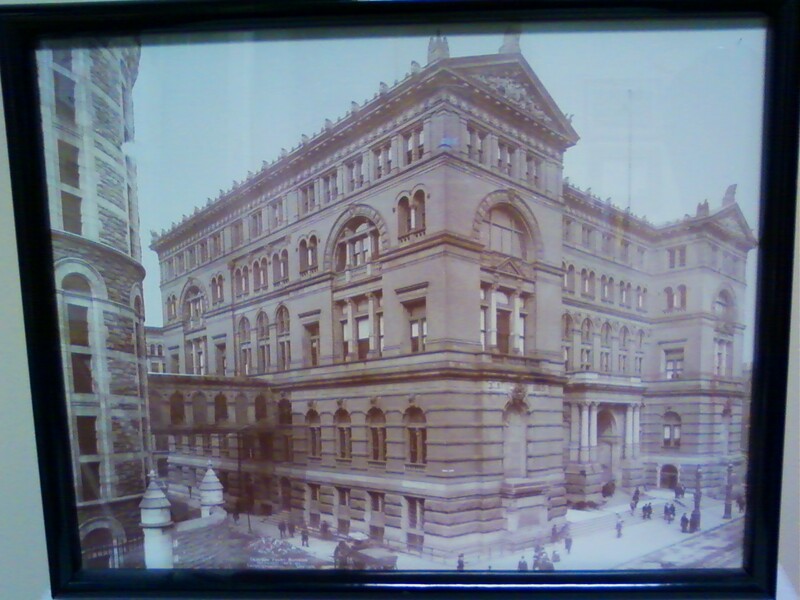 It includes a number of photographs and drawings of New York City courthouses, including the photograph of the New York City Criminal Courthouse in 1903 shown above. The collection contains historical cartoons of prominent jurists and illustrations from 18th and 19th-century U.S. and British magazines such as Harper’s Weekly, Frank Leslie’s Illustrated News, and Punch. The collection includes engravings of famous trials such as the trial of John Surratt for conspiring to assassinate President Lincoln, Charles Guiteau for the murder of President Garfield, and criminal trials related to the Tammany Hall political machine scandals of mid-19th century New York. Many of the illustrations are satirical sketches of court proceedings, judges, and lawyers, as well as their clients, while others dramatize social issues of the times. Each of the art works in the collection is accompanied by an explanatory caption. Pace Law Library is very grateful to Mr. Rheingold for his generous and significant gift.